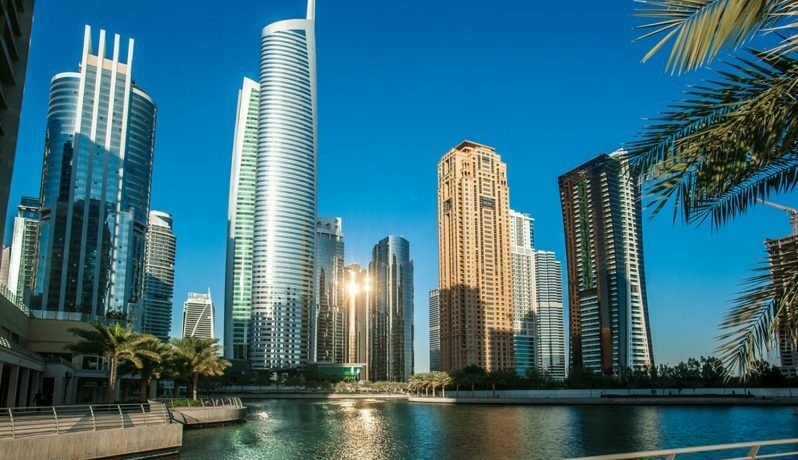 Favoured by expats and nationals alike for being an affordable substitute to Dubai Marina, Jumeirah Lakes Towers (JLT) is a vibrant waterfront community featuring 64 residential and commercial towers. Located bang smack on the Sheikh Zayed Road, the locality offers views of four winding man-made lakes and Emirates Hills golf course. 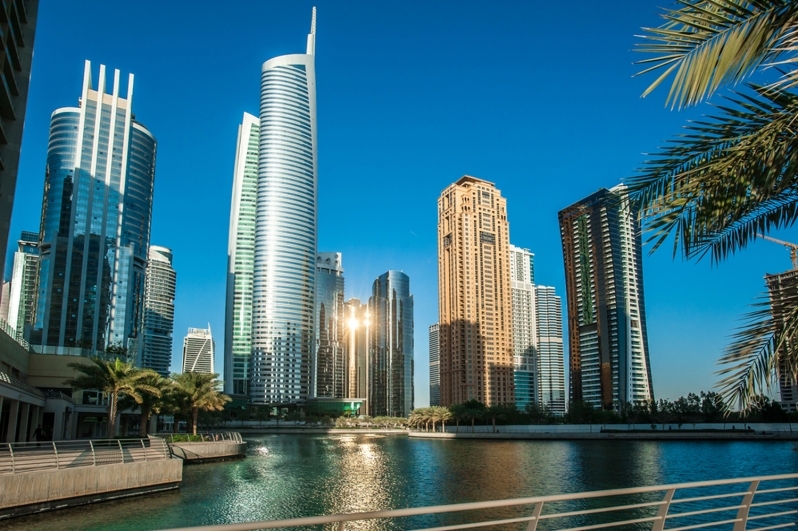 JLT is located in the heart of new Dubai, just opposite Dubai Marina with nothing but Sheikh Zayed Road dividing the two. It is well supplied with two metro stations on both its sides making it an ideal place of residence for the middle- to high-income class of workers living in Dubai. With two metro stations sandwiching it, JLT offers its residents superior connectivity to all other localities of Dubai. The metro can take you straight to the airport and the old Dubai areas in a matter of minutes. JLT is also closer to the Expo 2020 site compared with other high-end localities such as Downtown Dubai, Palm Jumeirah and Business Bay. Ibn Battuta Mall and JBR beach are just minutes away so you don’t have to worry about shopping and entertainment. In a nutshell, if you don’t have a car, commuting won’t be a problem if you live in JLT. One can find nationalities from across the world living here. Its apartments are usually favoured by small families and sometimes people working in Abu Dhabi as well. Residents of JLT are amiable and helping, and the security arrangements are top notch. Looking for the perfect lifestyle in Dubai? JLT’s got you covered. There are parks for children, jogging and cycling tracks for the health conscious and nurseries and day care centres for working parents. The locality also has an abundance of convenience stores, pharmacies and clinics. Pet lovers can take their pets on walks without any restrictions.